The Illyrians were a group of Indo-European tribes, who once inhabited western Balkans. Starting from the 2nd century AD the Illyrians were gradually wiped off from the map; and The Illyrians were mentioned for the last time in the 7th century. With the disintegration of the Roman Empire, Gothic and Hunnic tribes raided the Balkan peninsula, forcing many Illyrians to seek refuge in the highlands. With the arrival of the Slavs in the 6th century, most Illyrians were Slavicized. Follow the link to see where the Illyrians once lived. 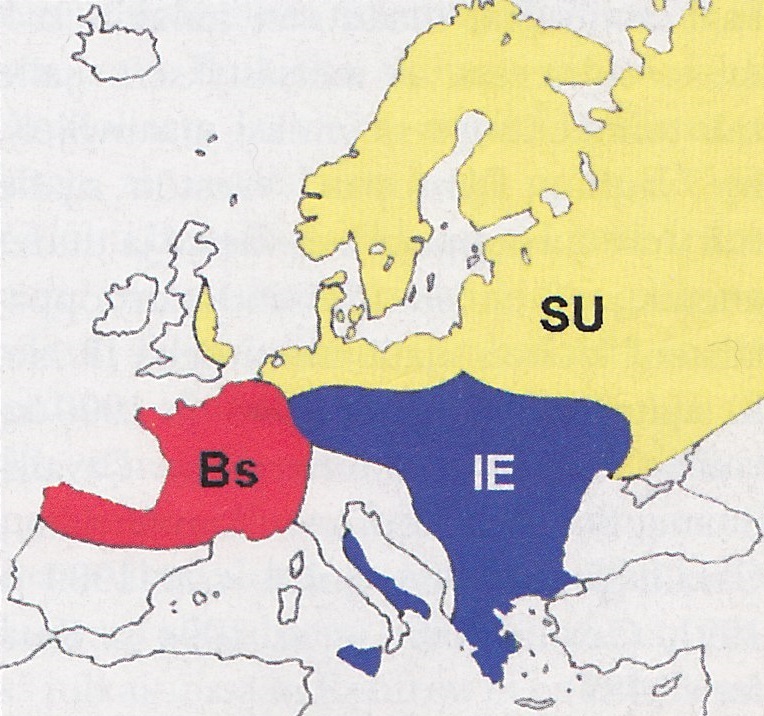 Illyrian languages on the map. To see the Illyrian populated areas, switch the map base layer to ‘political boundaries’. Around 600BC Ancient Greek dialects were spoken not only in today’s Greece but also all around the shores of the Black Sea. Ancient Greek includes the forms of Greek used in ancient Greece and the ancient world from around the 9th century BC to the 6th century AD. The language was spoken on other locations, too. Follow the link to see where. Greek tribes on the map 600BC. Be sure to switch the map base layer to ‘political boundaries’ so that you will see the Greek areas shown in light gray. In Swedish language there is the specific work for the Church worship held early in the Christmas day’s morning. The word is julotta. otta archaic word for the earliest time of the day, the hours before dawn that are related to activities such as work or other. More generally it refers to early morning. So the word otta has nothing to do with number 8 ‘åtta’, but because the meaning of the word otta is not known commonly, people have thought that julotta is the Christmas Day’s worship at 8 o’clock. And yes, the word is commonly misspelled julåtta. On the contrary the etymology of otta goes back to the ancient Sanskrit word aktú, which means darkness or ray. And finally some Swedish speaking finns have adopted the word as a verb meaning ‘to wake up early in the Christmas day’s morning (to clean up the living room)’. Conjugate the Swedish verb julotta. Swedish (Finland) definition of julotta, including the verb julotta as used in Åboland, Finland. 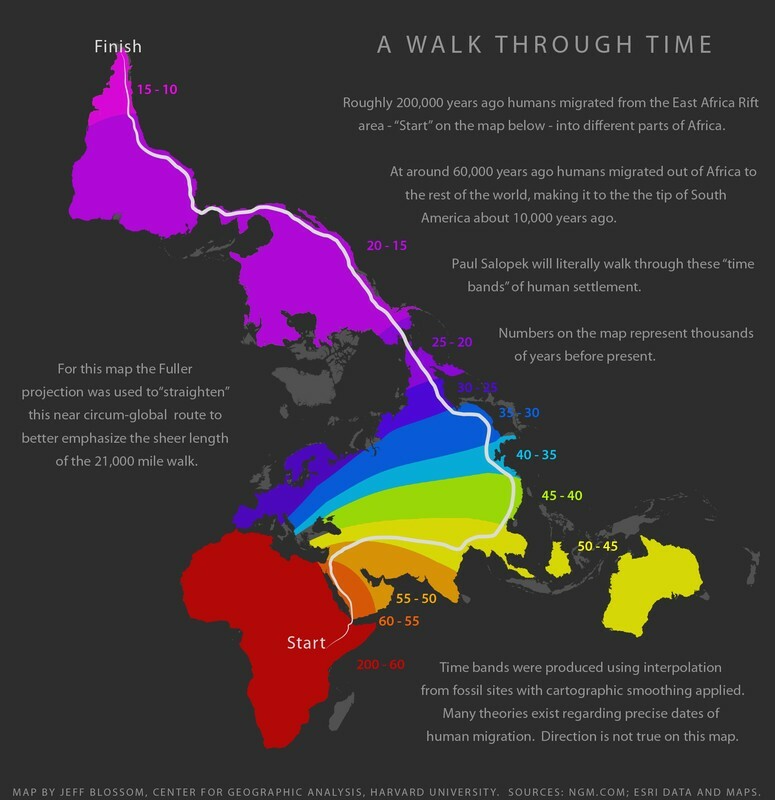 Roughly 200,000 years ago the humans migrated from Africa. And 10,000 years ago they reached the outmost parts of their origin. 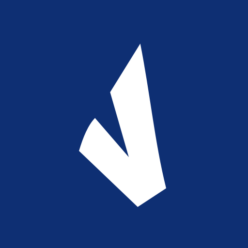 With this timespan in mind, the languages that are covered on Verbix website(s) weren’t even born when the humans already had travelled around the globe. It would be fascinating to know what and how they spoke. I was cleaning my old PC from files that I downloaded years ago. Guess what I found? Well, old files from The Indo-European Database website. I kept spending time on this site in the beginning of this millennium. The site that focused on Indo-European languages featured language overviews, linguistic maps, and much more. Unfortunately this website no more exists. The languages are not static; the languages evolve, new languages appear, and some languages disappear. Besides these changes the speakers might also migrate from one place to another. This has happened in the history, and this goes on today. 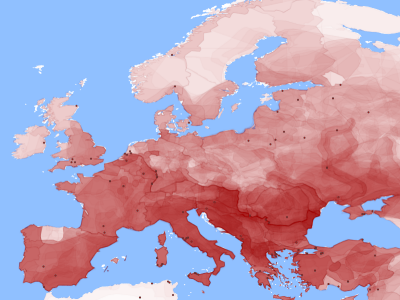 Based on information of people migrations, I compiled a map that shows languages of Europe. This is not a typical map that shows what language is spoken where and today. Instead it’s a ‘heatmap’. The darker color, the more there have been different cultures and languages in the area.